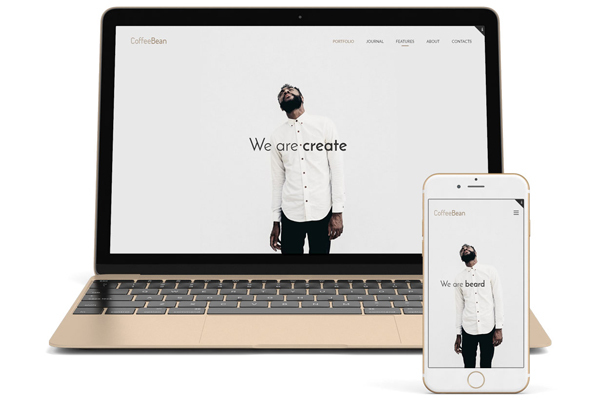 This is a new minimalistic simple and easy WordPress template with beautiful responsive 3, 4 columns and full width masonry portfolio with Simple Page Builder, blog and contact pages in clean modern creative and elegant design for freelancer, photographer, agency or studio. The theme comes with custom widgets with social services icons, contacts and latest portfolio works with projects. It’s Instagram and Twitter widget ready. Easy to setup and customize. You can have so many portfolios as you wish, customize any page you want with images, titles, colors, fonts, background. CoffeeBean theme supports Google Fonts, you can use with any element you want – header text, menu, logo, links, body font.